It’s morning again and here I am. I always appreciate it when nature makes it nice to get up early in the morning. I have a morning meeting and no car, so I’m hitching an early ride, but it’s pajama day! Oh yay! Yes, I showered and changed into clean pajamas. I am not a heathen. Besides, I don’t actually wear pajamas to bed…they’re too hot. They should be available as patterns only early next week, and as kits in late April some time. I still need to stitch my prototypes, which means I need to go find fabric, which is hard to do without a car. I guess there’s the internet. 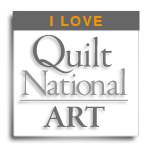 I like to patronize my local quilt store though. I want her to stay in business. The patterns and kits will be available through Global Artisans…this is an experiment for me…I don’t know if it’s a viable way to earn money, but it’s something. I had quilt class last night, so I ended up getting about 2 3/4 hours of cutting in, and I’m almost done (I did grade too, of course, thus eating into my cutting time). Trash in the top right, the big box has what’s left, and the cut pieces on the bottom right. I couldn’t stay up late. I need to be functional today. And it’s more than it looks…probably a couple hours there. So tonight, I’ll grade and I’ll finish cutting these, and if I have time, sort for ironing. We’re hiking tomorrow, so I won’t get much done tomorrow, except you know, health and stuff. But I should be ironing things together this weekend, which is good, because I’m running out of time. As always. What’s new? OK, I need to leave with my ride soon, so this is all I got. Good Friday people.